We mentioned earlier this year that Brooklyn’s Worriers were working on a new album that Against Me! singer Laura Jane Grace was producing, and now the first fruits of their collaborations have been released. The new single’s called “They / Them / Theirs,” and it’s a ripping melodic punk song about the frustrations of the gender binary. Check it out below (via Spin). The new album is called Imaginary Life, and comes out August 7 via Don Giovanni. It follows 2013’s Cruel Optimist. We mentioned that Worriers have a hometown show coming up on May 28 at Silent Barn with Caves, Sundials and Alice, and that it would be the kickoff to their US tour with Caves. That tour was since announced in full (it also includes a New Brunswick show), and all dates are listed below. 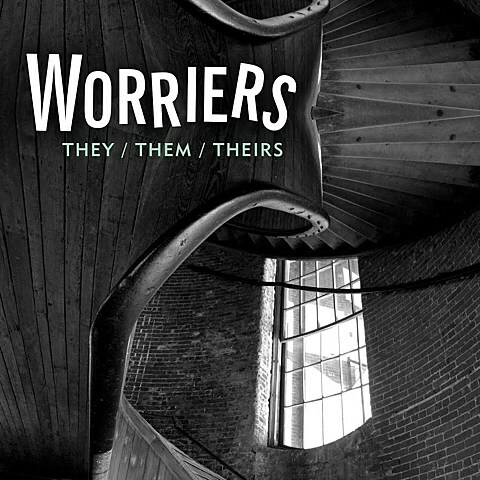 Worriers also have a Starland Ballroom show on June 26 with Lifetime, The Menzingers and Laura Stevenson (tickets). Meanwhile, Laura Jane Grace will be in NYC for a solo show at City Winery on Monday (5/25) (Memorial Day). That’s sold out but you can join the wait list in case tickets become available. Against Me! are also touring and playing a free afternoon show in NYC on June 13 at McCarren Park (part of Northside Festival). Free tickets are still available.